This ain’t no Mudd Club, or C.B.G.B. 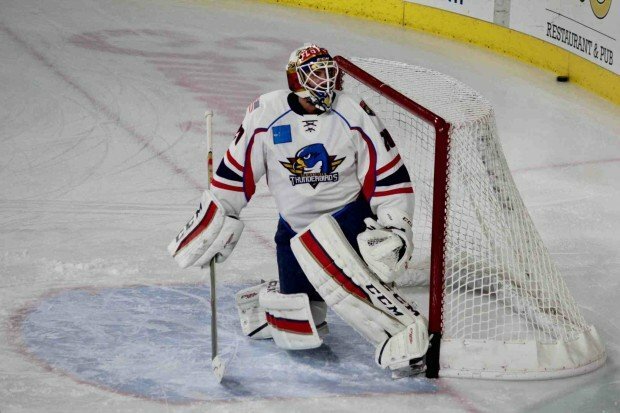 Yes, the improving Lehigh Valley Phantoms are certainly to be commended for stringing together a couple of wins this week after first shutting out the Hartford Wolf Pack in Connecticut on Wednesday morning and then downing the Providence Bruins in Rhode Island on Friday night. Indeed, these two noteworthy accomplishments marked the very first time after eight American Hockey League games played this season that Hamilton Street Heroes have actually been able to post back to back victories, and the results also hauled head coach Scott Gordon’s club back to level ground in terms of four overall wins against four overall losses. Make no mistake, however, this is certainly no time for the Phantoms to be celebrating or otherwise comfortably resting upon imaginary laurels — if the season had ended at the conclusion of AHL play last night, Lehigh Valley would be finding themselves stuck in fifth place and on the outside looking in at the coveted Calder Cup playoff competition. Meanwhile, perhaps the biggest news this week as far as hockey fans in the Mecca Of Minor League Sports were concerned arrived when it was announced that former Lehigh Valley Phantoms forward Scott Laughton was rejoining his old AHL club after being sent down on a conditioning assignment the Philadelphia Flyers. The 22-year-old center /left wing who was the 20th overall player taken in the first round of the 2012 National Hockey League Draft had not appeared for Lehigh Valley since the end of the 2014/15 campaign. He spent all of last season in the NHL with Philadelphia. Laughton had not played at all this fall since getting injured during training camp and, unvarnished truth be told, did not exactly sparkle in pre-season prior to that development. There had even been some speculation during training camp that the the former 1st round pick might not survive the Flyers’ final cut. Kram’s spies who took in Friday evening’s action in New England first hand have reported observing a lot of rust on the Laughton vehicle at present, although it must be prominently mentioned that the player still officially listed on the Philadelphia Flyers’ Long Term Injured Reserve did come through with a vital empty net tally which sealed a 4-2 deal in favor of the Lehigh Valley Phantoms. Word on the street here in Allentown is that Laughton’s ‘conditioning stint’ with the Phantoms is only expected to last two AHL games, although it is extremely hard to believe that the Flyers’ former first round pick will actually be able to attain anything even close to NHL ‘game shape’ by making just two appearances with a limited amount of ice time here with Lehigh Valley. And then there is the question of how the Broad Street Bullies plan to make the salary cap room that would be required in order to activate Laughton – but perhaps that subject would be better left for another day. The bottom line is that the Lehigh Valley Phantoms are in the midst of building upon what is now a fragile momentum. It should be remembered that Gordon’s Guys are on a mission to qualify the Philadelphia Flyers’ AHL affiliate for the annual Calder Cup playoffs for the very first time in eight long years. So, in other words, the last thing that the Hamilton Street Heroes need right about now is some “Chad Billingsley disciple” who is not necessarily concerned about results. Speaking of Switzerland’s senior national team, watching “die Nati” skate against neighboring arch-rival Germany in the 2016 edition of the annual Deutschland Cup right now … Former Lehigh Valley Phantoms winger Andrew Gordon, who is now in his second season with Swedish elite league club HC Linkoping, is on Canada’s representative at this tournament, as is former Philadelphia Flyers center Maxim Talbot, who now skates for Russian club Lokomotiv Yaroslavl in the crack Kontinental Hockey League … Former Hershey Bears defenseman Michal Cjakovsky scored a big goal for Slovakia during a 3-1 triumph over host Germany on Friday; former Lehigh Valley defenseman Christian Marti is not on this particular Swiss national squad despite the fact he is having a solid season for first place SC Zurich in the domestic Nationalliga A … Canada, who beat Switzerland 3-1 on Friday but lost in overtime to Slovakia earlier today, will play Germany at 10:30 AM on Sunday; the Canadians will need the Swiss to defeat the Slovaks in regulation before taking the ice against the Germans. Germany rally for come-from-behind 3-2 win over Switzerland thanks to a pair of unanswered third period goals via a pair of two-on-one rushes … Players in North America aside, neither country iced a full compliment of their best European-based players and are obviously using this tournament for experimental purposes (which is not unusual). The Swiss did feature NHL veteran and two-time Olympic defenseman Raphael Diaz, whom we saw skate in the AHL for the Hartford Wolf Pack last season, but otherwise used untested youngsters. The Germans had half a dozen guys who have skated in the American Hockey League at some point in their respective careers – but not former Lehigh Valley Phantoms winger Marcel Noebels from Eisbaeren Berlin, who is out of action until at least April after undergoing ACL surgery earlier this fall … Youthful goaltender Mathias Niederberger of EG Duesseldorf, the 23-year-old who appeared in six AHL games for the Manchester Monarchs during the 2013/14 season, had a strong showing in net and was formally selected as his side’s player of the game.